Lillian Wolock Elliott was born in Detroit in 1930. She received her B.A. in Art Education in 1952 from Wayne State University and her M.F.A. in 1955 from Cranbrook Academy of Art with a major in ceramics, a minor in painting. From 1955-1958, she was a designer in the Styling Division for Ford Motor Company in Dearborn, MI. 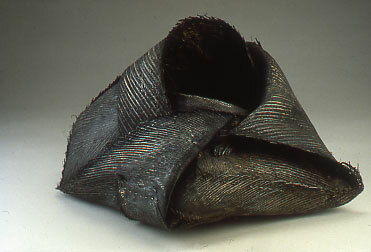 In addition to being a visiting lecturer in the Art Department at the University of Michigan in Ann Arbor, Elliott taught part-time at most institutions in the San Francisco Bay Area including the University of California Berkeley and Davis, San Francisco State University, the California College of Arts and Crafts, and Pacific Basin School of Textile Arts. Among her many honors, Elliott received two grants from the National Endowment for the Arts, a Louis Comfort Tiffany Grant, and repeated recognition from the California Arts Council. 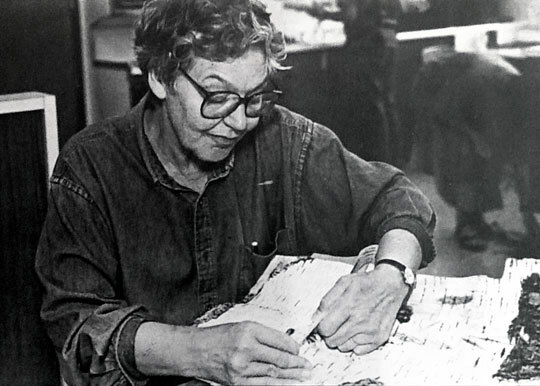 She was designated a "California Living Treasure" and in 1990 became an elected Fellow of the American Craft Council. 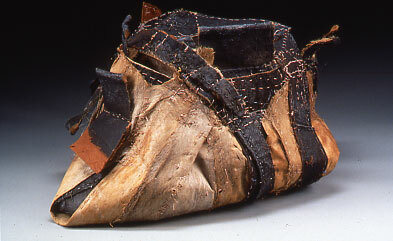 She served as an artist representative on the Board of the Textile Society of America. 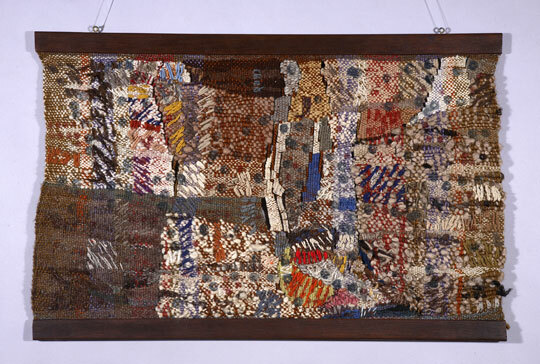 As part of their select Fiber Art series, the Regional Oral History Office, Bancroft Library, University of California Berkeley published her oral history in 1992. Elliott had fourteen solo exhibitions, including a retrospective at the Civic Arts Gallery, Walnut Creek, California. 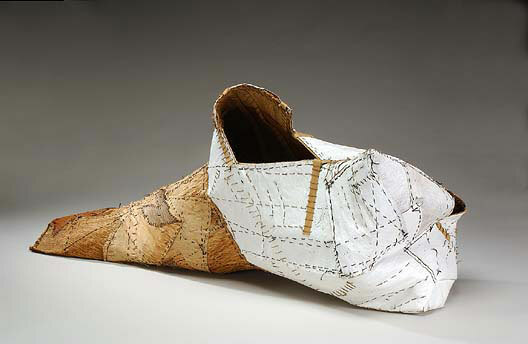 Among many other exhibitions, she participated in major exhibitions including Baskets: Redefining Volume and Meaning, Knots and Nets, Poetry of the Physical, Interlacing: the Elemental Fabric, Frontiers in Fiber: The Americans, Craft Today, and the 12th Lausanne Biennial devoted to Textiles as Sculpture. Her work appeared in books of the same titles and in numerous other books and catalogues. Lillian Elliott died in the spring of 1994. Also see "Lillian Elliott", by Pat Hickman, Textile Society of America Symposium Proceedings , Paper 451, 2004. Color It Twill, 1973, 20″ x 32″. 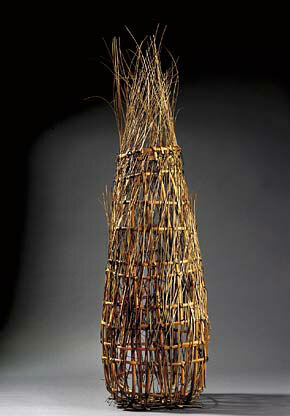 Wind Form, 1989, tapa bark, acrylic paint, and string, 16″ x 35″ x 13″.